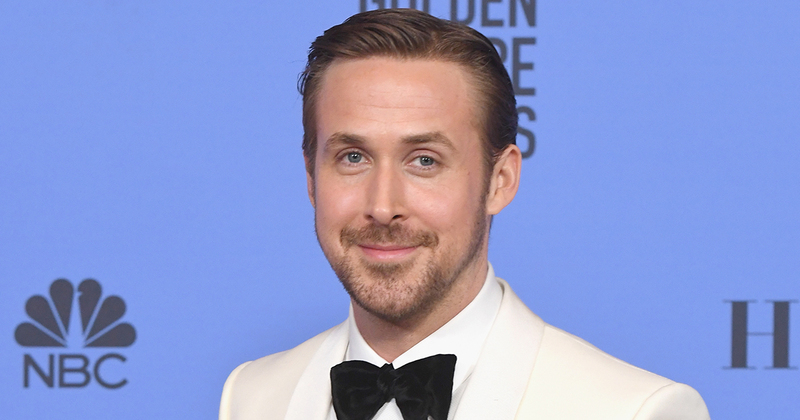 It’s the moment that basically stole the show at the Golden Globes, and now Ryan Gosling has responded to Andrew Garfield and Ryan Renolds’ kiss. While he might have picked up the Golden Globe for Best Actor in a Musical or Comedy for La La Land, and made us cry with his acceptance speech, Ryan Gosling’s moment of glory got upstaged by to mischief makers, Andrew Garfield and Ryan Reynolds. The two actors decided that they’d lock lips just as Gosling was making his way to the stage to accept his award. Of course, the kiss had a really sweet and touching explanation. Garfield explained that he just wanted Reynolds to know that he was still loved, despite not picking up the award, for which is was also nominated for his role in Deadpool. “I just wanted him to know that it doesn’t matter [if you win or lose], it’s how you play the game. He showed up, he gave his all, it doesn’t change anything in my heart,” he said. Well, now Ryan Gosling has responded to the kiss and he’s only got nice things to say. Speaking to metro.co.uk, Gosling was quizzed about what he made of the kiss. "‘I’m happy for them," he said. "I’m happy they found each other." When asked whether he would share a kiss with Garfield, however, he wasn’t too keen. "It means less now," he said. "It's less special." Well, there go our dreams of a full on Hollywood A-lister kiss-a-thon. Gosling isn’t the only person to have a rather humorous reaction to Garfield and Reynolds’ kiss. Emma Stone, who also stars in La La Land and was previously in a relationship with Garfield, was shown the steamy moment backstage at the Golden Globes, and she couldn’t quite believe what she was seeing. Tbh, we’re totally shipping Andrew Garfield and Ryan Reynolds, and, like Mr Gosling, we wish them all the best in the future.